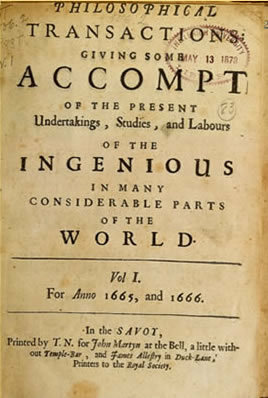 This is the first volume ever published of the Philosophical Transactions, originally titled Philosophical Transactions: Giving Some Accompt of the Present Undertakings, Studies, and Labours, of the Ingenious in Many Considerable Parts of the World. Containing articles on optics, comets, lead, and watches, it was wide-ranging in scope. Approximately 1,500 copies were printed. Owing in large part to its continued significance the text was reprinted in 1963 by the Johnson and Krauss Reprint Corporations, the only reproduction authorized by the Royal Society of London. This reprint was digitized and presented through JSTOR. JSTOR, founded in 1995, was established to provide online full-text access to a significant number of academic journals.